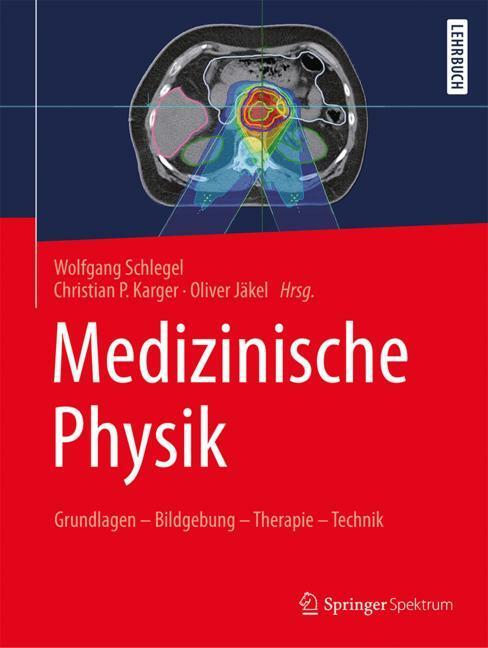 In Teil I werden die Grundlagen der Strahlenphysik, der biostatistischen Methoden, der Medizinischen Informatik, der organisatorischen und rechtlichen Aspekte sowie des Strahlenschutzes abgehandelt. Teil V beschreibt ausgewählte Themen aus dem Gebiet der Medizintechnik. J. Blum, M. Blum, M.S. Rill und J. Haueisen, Klin Monatsbl Augenheilkd 234, S. 109–116 (2017). Ultrakurz gepulste Laser haben in den letzten 2 Jahrzehnten einen immer größer werdenden Stellenwert in der Augenheilkunde eingenommen. Mit herkömmlichen Glasfasern ist die Führung ultrakurzer Laserpulse jedoch nicht möglich. Die energiereichen Femtosekundenpulse würden das Fasermaterial zerstören und nichtlineare Dispersionseffekte die Strahlparameter erheblich verändern. Im Gegensatz dazu werden Laserpulse in photonischen Kristallfasern (engl. Photonic Crystal Fibers) hauptsächlich in Luft geleitet, sodass Absorption und Pulsverbreiterungen aufgrund der Dispersion eine deutlich geringere Rolle spielen. Im Folgenden werden insbesondere Freistrahloptiken und photonische Kristallfasern als mögliche Strahlführungsvarianten vorgestellt und hinsichtlich ihrer technischen Parameter und dem aktuellen Stand der Technik verglichen. Es zeigt sich, dass hinsichtlich der optischen Eigenschaften ein klassischer Spiegelgelenkarm deutlich variabler ist, während die HCF (engl. Hollow-Core Photonic Crystal Fiber) hinsichtlich der Laserenergie und des Laserspektrums genau abgestimmt werden muss. Demgegenüber weist die HCF in Bezug auf Handhabung, Systemintegration und Kosten eine Reihe von Vorteilen auf. Die im Gegensatz zu einem Freistrahlaufbau vergleichsweise geringe Zerstörschwelle der photonischen Kristallfasern ist für Applikationen, die auf einer photodisruptiven Laser-Gewebe-Wechselwirkung basieren, nicht akzeptabel. Wenn hingegen mit Laserstrahlung genügend geringer Spitzenintensität gearbeitet wird – z.B. im Regime der plasmainduzierten Ablation – kann die Strahlführung mittels photonischer Kristallfasern durchaus als alternative Lösung betrachtet werden. Medical technology is a fast growing field. This new title gives a comprehensive review of modern optical technologies alongside their clinical deployment. It bridges the technology and clinical domains and will be suitable in both technical and clinical environments. 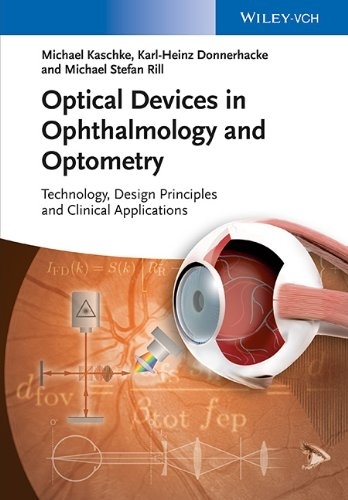 It introduces and develops basic physical methods (in optics, photonics, and metrology) and their applications in the design of optical systems for use in medical technology with a special focus on ophthalmology. Medical applications described in detail demonstrate the advantage of utilizing optical-photonic methods. Exercises and solutions for each chapter help understand and apply basic principles and methods. An associated website run by the authors will include slides to facilitate the teaching/training of this material, and typical images collected by the described methods, e.g. videos of endoscopy or navigation, OCT, etc. In der Mikrochirurgie haben sich Operationsmikroskope in den letzten Jahrzehnten als wertvolles Instrument etabliert. 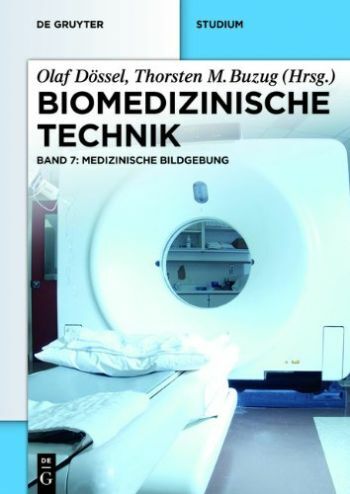 Sie erleichtern komplizierte medizinische Eingriffe und sind unerlässlich bei der Visualisierung und Behandlung extrem feiner Gewebestrukturen. In diesem Kapitel werden die grundlegenden Design-Prinzipien eingeführt, die für eine optische Systemauslegung erforderlich sind. Dabei wird im Besonderen auf die variable Bildvergrößerung eingegangen. Schließlich werden gebräuchliche Beleuchtungskonzepte, Stativaufhängungen und aktuelle Entwicklungen in der modernen Operationsmikroskopie diskutiert. M. S. Rill, Dissertation, urn:nbn:de:swb:90-186141 (EVA Star Volltextarchiv, 2010), ISBN: 978-383 811 8888. 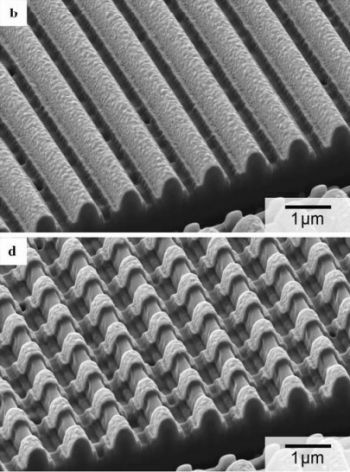 We have utilized a novel fabrication concept, i.e., direct laser writing in combination with advanced metallization techniques to realize three-dimensional photonic metamaterials for optical frequencies. Depending on the type of photoresist, we either used chemical vapor deposition of silver or electroplating of gold. Some of the fabricated structures give rise to bi-anisotropy resulting in a cross-coupling of the electric and magnetic fields of an incident light wave. Additionally, we have presented two unit cell designs which show a negative index of refraction at infrared frequencies. C. E. Kriegler, M. S. Rill, S. Linden und M. Wegener, IEEE Journal of Selected Topics of Quantum Electronics 16, S. 367–375 (2010). In metamaterials, electric (magnetic) dipoles can be excited by the electric (magnetic) component of the incident light field. Moreover, in the description of bianisotropic metamaterials, cross terms occur, i.e., magnetic dipoles can also be excited by the electric-field component of the incident light and vice versa. For the cross terms, in the general bianisotropic case, the exciting field and dipole vectors include an arbitrary angle. For the special case of chirality, the angle is zero. In the spirit of a brief tutorial, a very simple electric-circuit description of the split-ring resonator is used to give a basic introduction to the cross terms. Mathematical details of the effective parameter retrieval are presented. Furthermore, we briefly review recent experiments on bianisotropic metamaterials operating at optical frequencies. M. Thiel, M. S. Rill, G. von Freymann und M. Wegener, Advanced Materials 21, S. 4680–4682 (2009). Four different types of bi-chiral photonic crystals are experimentally realized and characterized (see figure). In these 3D bi-chiral photonic crystals one type of handedness stems from the motif (the spirals in our case) and the other one from the corner, that is, from the fictitious skeleton onto which the motif is arranged. In nature only two of these types of bi-chiral photonic crystals exist. We realized all four bi-chiral combinations for the first time. J. K. Gansel, M. Thiel, M. S. Rill, M. Decker, K. Bade, V. Saile, G. von Freymann, S. Linden und M. Wegener, Science 325, S. 1513–1515 (2009). 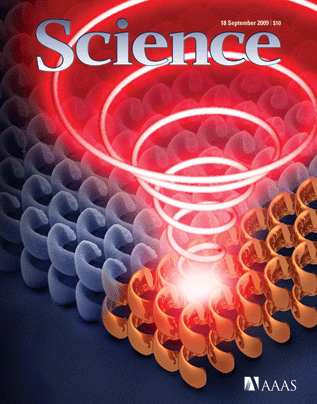 We investigated propagation of light through a uniaxial photonic metamaterial composed of three-dimensional gold helices arranged on a two-dimensional square lattice. These nanostructures are fabricated via an approach based on direct laser writing into a positive-tone photoresist followed by electrochemical deposition of gold. For propagation of light along the helix axis, the structure blocks the circular polarization with the same handedness as the helices, whereas it transmits the other, for a frequency range exceeding one octave. The structure is scalable to other frequency ranges and can be used as a compact broadband circular polarizer. C. E. Kriegler, M. S. Rill, M. Thiel, E. Müller, S. Essig, A. Frölich, G. von Freymann, S. Linden, D. Gerthsen, H. Hahn, K. Busch und M. Wegener, Applied Physics B 96,S. 749–755 (2009). We fabricate split-ring-resonator arrays via direct laser writing of polymers, followed by atomic-layer deposition of titania, chemical vapor deposition of silver, and focused-ion-beam milling. While structures like that have been fabricated previously by other means, our approach here allows for a direct comparison with the optical properties of corrugated metal surfaces, which are fabricated along the same lines. 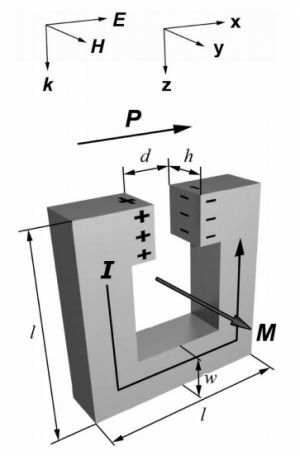 This comparison reveals substantial differences regarding the magnetic metamaterial properties. In particular, we find that the optical response of the corrugated metal surfaces is due to a higher-order magnetic resonance, whereas that of the split-ring resonators stems from their fundamental magnetic resonance. M. S. Rill, C. E. Kriegler, M. Thiel, G. von Freymann, S. Linden und M. Wegener, Optics Letters 34, S. 19–21 (2009). 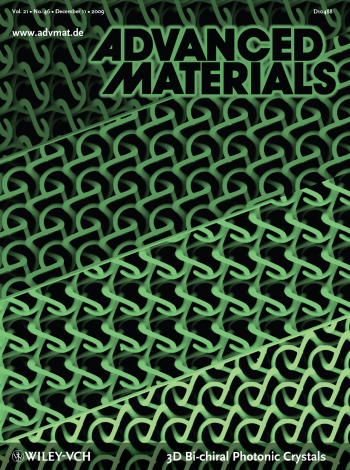 We present the blueprint for a novel negative-index metamaterial. This structure is fabricated via three-dimensional two-photon direct laser writing and silver shadow evaporation. The comparison of measured linear optical spectra with theory shows good agreement and reveals a negative real part of the refractive index at around 3.85µm wavelength - despite the fact that the metamaterial structure is bianisotropic owing to the lack of inversion symmetry along its surface normal. M. S. Rill, C. Plet, M. Thiel, I. Staude, S. Linden, G. von Freymann und M. Wegener, Nature Materials 7, S. 543–546 (2008). Metamaterials are artificial materials that - unlike natural substances - enable magnetism to be achieved at optical frequencies. The vast majority of photonic metamaterials has been fabricated by electron-beam lithography and evaporation of metal films, both of which are well-established two-dimensional (2D) technologies. 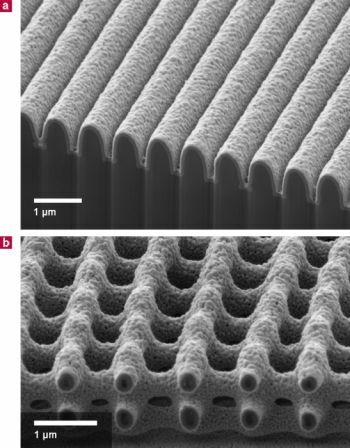 Although stacking of three or four functional layers made using these methods has been reported, a truly 3D fabrication approach would be preferable for 3D photonic metamaterials. Here, we report first steps in this direction by using a combination of direct laser writing and silver chemical vapour deposition - the 3D analogues of electron-beam lithography and evaporation, respectively. The optical characterization of a planar test structure composed of elongated split-ring resonators is in good agreement with theory. Retrieval of the effective optical parameters reveals the importance of bi-anisotropy. Once suitable theoretical blueprints are available, our fabrication approach will enable rapid prototyping of truly 3D photonic metamaterials. M. S. Rill, C. Plet, M. Thiel, A. Frölich, I. Staude, G. von Freymann, S. Linden und M. Wegener, Eingeladener Vortrag (THU3s.2) auf der "NANOMETA"-Konferenz, Seefeld, Österreich (2009). M. S. Rill, C. E. Kriegler, M. Thiel, E. Müller, A. Frölich, G. von Freymann, S. Linden, S. Essig, K. Busch, D. Gerthsen, H. Hahn und M. Wegener, Vortrag (JWE3) auf der "CLEO / IQEC"-Konferenz, Baltimore, USA (2009). M. S. Rill, C. Plet, M. Thiel, M. Wegener, G. von Freymann und S. Linden, Talk QMD3 auf der "CLEO / QELS"-Konferenz, San José, USA (2008). M. S. Rill, C. Plet, M. Thiel, I. Staude, G. v. Freymann, S. Linden und M. Wegenerm, Eingeladener Vortrag ICCES0820071031042 auf der "International Conference on Computational and Experimental Engineering and Sciences", Honolulu, USA (2008).